This magnificent book contains 175 color photographies of the members of the prestigious photographic group Portfolio Natural. 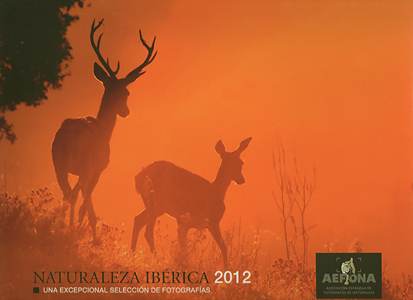 Recognized authors loke of Isabel Díez, Juan Carlos Muñoz, Alejandro Martínez, Michael Puche or Iñaki Relanzón between others, compile in this work some of his better images of landscape and animals, result of many years of work, infinity of trips and original projects, that have placed this group of photographers between the most valued groups inside the world of the photography of nature. 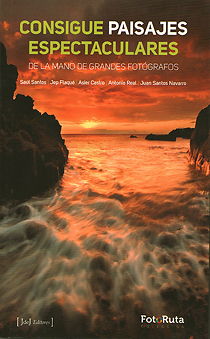 In the book is included a select selection of photographies of the author Juan Santos Navarro, co-author of the book and part of the team dedicated to this project. 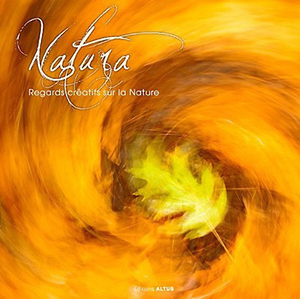 Portfolio Natural arises from a group of photographers who bet for a hollow be opening in the market of the artistic photography promoting the knowledge of this type of images in the artistic circuits that promote the so called " author's work ". Much more than another book of photography of nature, "NATURE" is a book of Photographies with a clear artistic vocation, not uselessly they are grouped according to creative criteria in the following 13 chapters: Lights, Paintings, The water, Wild, Creations, Textures, Movements, Snow and ice, Geometries, Vegetable, Abstractions, Horizons and Phenomena. A magnificebt cofee table book, for the highest level and originality of his images, since for his careful design and the quality of the materials used in this elegant edition. The book appeared in the Festival of Montier-en-Der's Nature (France) together with an exhibition of a selection of fine print copies in large format. 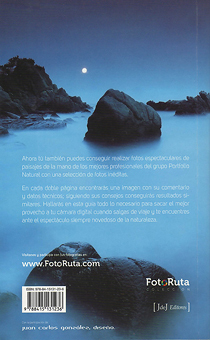 Together with renamed authors nature photographers as Saúl Santos, Asier Castro, Jep Flaqué and Antonio Real, all of them members of the collective Portfolio Natural, the author Juan Santos Navarro is a co-author of this small jewel of the landscape photography. In his chapter (one by author) the author presents 12 of his images accompanied of its corresponding texts, in then there is a detailed analysis of each photography, from a creative and descriptive point of view, as well as an approach to the technical questions. Front page, as well as the first two double pages that introduces the book, are illustrated also by three of his photographies. 144 pages printed in high quality and in a format of 12 x 20 cm. A book published by Javier de Juan publishers, belonging to the collection FotoRuta. 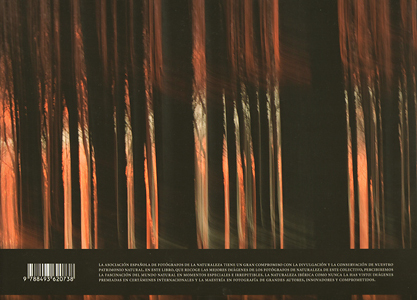 A great visual experience now available for purchasing. I personally have had the privilege and honor, that one of my images titled "DAWN" illustrates the page 65 of the book in the selection of images section. 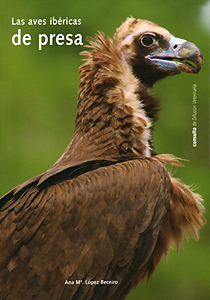 Prestigious photographers of birds in our environment, such as Eduardo Ruiz Baltanás, Jordi Bas, Miguel Lasa, Javier Milla or Javier Vecino collaborate in this book with some of his better photographies of the Iberian birds of dam. Between them the author Juan Santos Navarro includes a selection of his photographies of greedy birds. Characteristic, similar Species, distribution and arrival, supply, reproduction observations and curiosities. 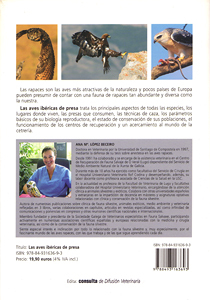 Definitively, one of the best and more complete guides of consultation on our greedy birds.